This Post I will share with you how you can flash your device Nokia 130 mobile phone without box easily. before flashing your Nokia 130 if possible to you should backup your all of user data. because after flashing all data will be lost. you can't recovery your any user data. Make sure your device battery charge is 70% up. if your device battery is low don't try to flashing your cell phone using USB cable. Make sure your device don't have any others hardware problem. if your phone have any hardware problem you should fix it first then flash. For Flash your device you need Download Nokia USB Drive You Can Download Here. After Download connect your mobile. if your mobile is not connected press power key then you see a notification your computer right side then install this driver. Now You Need Download Nokia Nokia Care Suite 5.5.132.1446_Full Here Download Link. After That install it. 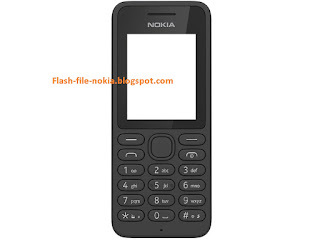 now you need to download Nokia 130 Flash File below on this post. Then you see wait until finish this process. when finish this process you will see this picture see below image. If You have any question about this tutorial please ask me. i am available for help you. thank you for visit our site. 8 Responses to "How To flash Nokia 130 At Home Without Box Only USB Cable "
Bro Click Start download button and wait few seconds. if button is not working try another browser. hi, bro my mobile nokia asha 300 does not start with sim it says that 'phone restricted' will that solve after flash? if yes so kindly tell me about pinout with image or diagram. I will be very thankful of you.